Exelis has completed a nationwide infrastructure upgrade that will enable air traffic controllers to track aircraft with greater accuracy and reliability while giving pilots more information in the cockpit. Exelis was selected in 2007 by the Federal Aviation Administration (FAA) to design, deploy, operate and maintain a radio network. The network supports a satellite-based surveillance system to track aircraft with the help of GPS. Called Automatic Dependent Surveillance-Broadcast (ADS-B), it provides more accurate aircraft location information than the current radar system. The ADS-B program is the cornerstone of the FAA’s Next Generation Air Transportation System (NexGen) initiative to modernize air traffic control in the U.S. 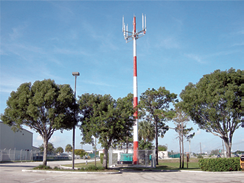 Under the program, Exelis has deployed 634 complex ground stations across the continental United States and in locations in Alaska, Guam, Hawaii, and approximately 100 service delivery points in FAA facilities. The deployed system is being operated and maintained by Exelis under FAA supervision and is providing high-performance surveillance and aviation safety services that meet the technical performance measures established by the FAA. ADS-B technology enables more accurate tracking of airplanes and airport vehicles on runways and taxiways, increasing safety and efficiency. The system significantly improves surveillance capability in areas with geographic challenges like mountains or over water. In addition to improved safety and efficiency, ADS-B technology results in less impact to the environment and less cost to maintain. US Finance, Inc., a global financial solutions company, has issued a commitment to lend $24 million to Laser Light™ Global Limited, UK (“Laser Light™”) to build The HALO Center™, a laser communications test and evaluation facility. vendor-supplied equipment and operating system for Laser Light™’s planned Global Hybrid Satellite-Terrestrial Optical Network™, currently scheduled for deployment in 2017,” said Robert H. Brumley, the CEO of Laser Light. This center will be located in Reston, Virginia, with the funding commitment allocated for facilities, equipment and other corporate purposes that will render The HALO Center operational in late 2014. Brumley added that the partnership with US Finance, Inc. for the initial funding commitment will enable Laser Light to open what they anticipate to be the first global, open-architect, commercial test facility and Network Operating Center (NOC) focused primarily on emerging, next-generation, Free Space Optics communications technology and operating solutions. A competitive Solicitation for these network elements is anticipated this year. ABS Technology Architects was instrumental in the design of the facilities and the state-of-the-art architecture based on Cisco Systems, Inc. equipment for The HALO Center. “The HALO Center™ design is intended to serve as an active, licensed ‘Point of Presence’ connected to the Global Grid through dual, fully redundant 100G service rings, supported by on-site data storage, co-location and hosting capabilities,” said Walker Dorroh, CEO of ABS Technology Architects. The HALO Center, LLC and Laser Light Communications, LLC, both U.S.-registered Delaware companies. Comtech Telecommunications Corp.’s Tempe, Arizona-based subsidiary, Comtech EF Data Corp., has received a $3.1 million order for SLM-5650A Satellite Modems from a government systems integrator. The modems will be used to support the U.S. Army’s Defense Communications and Army Transmission Systems (DCATS) satellite communications programs. The SLM-5650A Satellite Modem is compliant with the strict requirements defined in MIL-STD-188-165A, modem types I, II, IV, V and VI for applications on DSCS, WGS and commercial satellites. 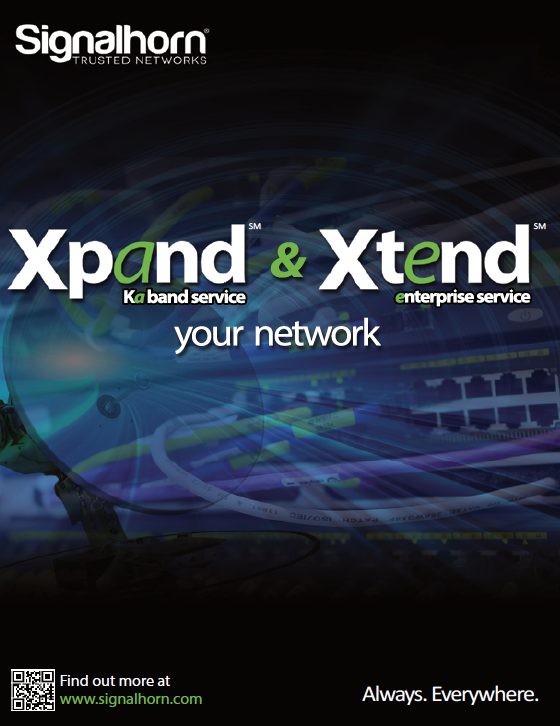 Data rates from 8kbps to 155Mbps and symbol rates from 32ksps to 64Msps are supported. The modem provides standard MIL-STD-188-114 (EIA-530 / RS-422) and EIA-613 (HSSI) serial interfaces, and can be optionally configured to support G.703 and Low Voltage Differential Signaling (LVDS) serial interfaces. It can also be optionally equipped with a 4-port 10/100/1000Base-T Ethernet Network Processor module that supports switching, routing and advanced Quality of Service protocols. The SLM-5650A can be integrated with the Vipersat Management System (VMS) to provide fully automated network and capacity management. An AES-256 TRANSEC module, compliant with the FIPS-140-2 NIST standard is also available as an option. All traffic (including overhead and all VMS control traffic) is encrypted when using the TRANSEC module. 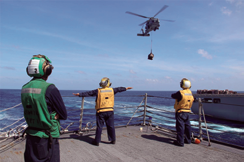 Seventh Fleet weather specialists, called aerographer’s mates (AG), are providing critical support to Seventh Fleet’s MH370 search and rescue operations during March and April 2014. Aerographer’s mates also provided meteorological support, to include reporting hazardous weather states and cloud cover to the P-3C Orion and P-8A Poseidon squadrons deployed from Command Task Force 72. The mission of AGs is to collect, record and analyze oceanographic information throughout the Seventh Fleet area of responsibility. Seventh Fleet AG’s are essential to mission readiness because they enable U.S. Navy ships operating in the region to plan for potential weather hazards before every operation. The 15 Seventh Fleet AG’s are closely involved in pre-planning and executing bilateral exercises. Seventh Fleet AG’s are involved in exercises such as Ulchi Freedom Guardian, Key Resolve, Talisman Saber and Foal Eagle. Before each exercise, AG’s map out the weather forecasts and provide dates for which the exercises can take place. During exercises, AG’s participate in scenario briefings, weather tracking and oceanographic data management, ensuring that everything is planned and executed properly during real-time events. 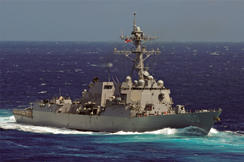 Seventh Fleet AG’s provide crucial information that allows ships to navigate the AOR. AG’s are also responsible for preparing up-to-date weather maps and oceanographic data, issuing weather forecasts and warnings, testing, calibrating and performing minor and preventative maintenance on meteorological instruments including satellite receivers, preparing balloon-carried instruments for flight, evaluating and analyzing data received and operating, programming and maintaining computers and related equipment. Essentially, AG’s provide a plan for all ships before any operation start, and keep all equipment in perfect working condition during every mission to ensure completion. The U.S.S. Kidd engages in a search for the missing airliner. Photo is courtesy of the U.S. Navy. In instances such as the tsunami that devastated Sendai, Japan, AG’s provided preemptive warnings to ships within areas that could be affected in an effort to remove them before the disaster struck. The AG’s tracked both the initial earthquake and the tsunami. Following the tsunami, Operation Tomodachi began in March 2013. Operation Tomodachi provided vital relief efforts to Japan citizens who were devastated by the tsunami. The AG’s were instrumental in providing updated reports on the new sea state of the affected area, therefore initiating the relief efforts. The AG’s used the experience gained by Operation Tomodachi and used it in the relief efforts for Typhoon Haiyan. On November 8, 2013, the AG’s redirected ships out of the area before Haiyan made landfall in the Philippines. Following the typhoon, the AG’s provided all the ships involved in Operation Damayan, the relief effort held in the Philippines, with meteorological support as well as accurate readings of how the sea floor was affected by the storm, said Chevalier. Chevalier concluded that AG’s also play a major role in the normal day-to-day operations in the fleet, as well. GPS IIF satellite to the U.S. Air Force. The newest addition to the GPS constellation increases the precision of position, navigation and timing data sent to users around the world. The satellite was launched on February 20, 2014. The Air Force, which operates the GPS system, and Boeing have now completed deployment and validation of the spacecraft’s systems, stabilizing the vehicle and activating its navigation payload. 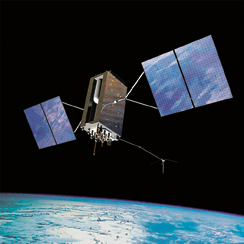 Artistic rendition of a GPS IIF satellite. Image courtesy of Boeing. Boeing is preparing the next GPS IIF satellite—the sixth of 12—for a second quarter launch. 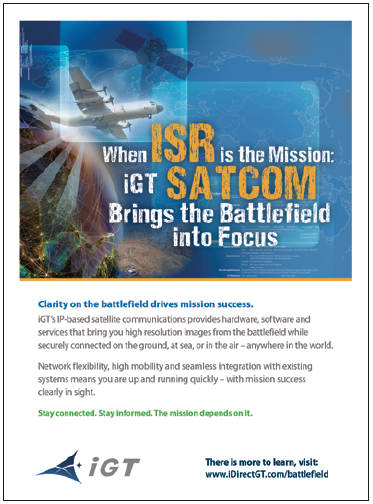 The GPS IIF delivers improved accuracy, greater security and anti-jam capabilities while maintaining baseline legacy GPS performance. Since the first launch in 1978, Boeing-built GPS satellites have accumulated the equivalent of more than 500 years of on-orbit operation. The Central American Aeronautics and Space Administration (ACAE) has officially announced that the first Central American satellite, built in Costa Rica, will be launched into space in 2016. Representatives of the Central American Aeronautics and Space Administration and scientists from the Technological Institute of Costa Rica demonstrate a tiny picosatellite to Costa Rican President Laura Chinchilla. Photo is courtesy of ACAE. The satellite will collect and relay daily data on carbon dioxide to evaluate the effects of climate change. That data will be sent to monitoring bases in tropical forests at the Santa Rosa National Park in Costa Rica’s northwestern province of Guanacaste. Information will then be broadcast to another base station at labs operated by the Technological Institute of Costa Rica (ITCR) for analysis and processing. The project was declared of public interest by an executive decree signed Monday by President Laura Chinchilla, who leaves office in May. “The signing of this decree is an historic event for Costa Rica that will allow the country to position itself as an innovative nation. It is a message to the world that this country is still thinking big. This project will return our people the ability to dream,” ACAE President Carlos Alvarado said. The device weighs less than 10 kilograms and technically is considered a miniature satellite, or picosatellite (pico). The pico was developed over three years with help from ITCR experts and two Tico scientists, former NASA astronaut Franklin Chang Díaz and NASA engineer Sandra Cauffman, who also is assistant director of the MAVEN project, a mission currently studying the atmosphere of Mars. The launch likely will take place outside of Costa Rica, which currently has no launch infrastructure. “In order to launch the picosatellite, we could either hire a private service or sign a cooperation agreement with a space agency. We already have held conversations with South Korea and NASA,” Alvarado said. ORBCOMM Inc., a global provider of Machine-to-Machine (M2M) solutions, has announced that its partner, Savi Technology (Savi), has been awarded a five-year U.S. Department of Defense contract as the sole provider to the $204 million RFID-IV program, which currently has a $102 million ceiling. Intrusion Tracking Detection (ATID) products and services, to a wide range of government customers for global asset planning and tracking of personnel, equipment and sustainment cargo worldwide. In support of the RFID-IV program, ORBCOMM and Savi will offer satellite and RFID tags as well as other sensor technologies using ORBCOMM’s global communications networks, which will enhance the visibility and security of government cargo in transit. ORBCOMM’s advanced tracking and monitoring solutions will provide government customers with the current location of their cargo and send real-time alerts for security breaches and other anomalies such as cargo entering or exiting a geozone outside of pre-determined parameters for immediate resolution. 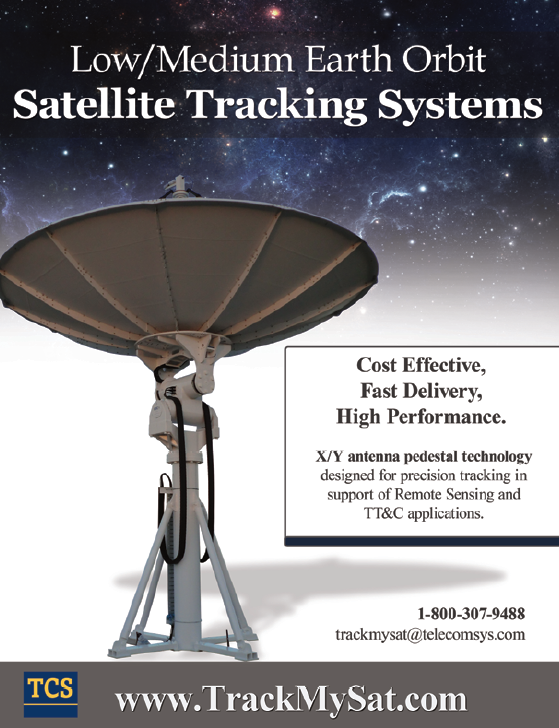 U.S. government customers, including the Army, Navy, Air Force, USTRANSCOM, Special Forces and Defense Logistics Agency, can now seamlessly track and secure their cargo anywhere in the world and access near-real-time operational data through existing government EITV systems or secure, dedicated web portals to meet specific mission needs. Asia Broadcast Satellite (ABS) received the Deal of the Year award from the Export-Import Bank of the United States (Ex-Im Bank—the award was presented on April 24th at the Bank’s 39th Annual Conference in Washington, D.C.
Ex-Im Bank recognized ABS for their purchase of three geostationary satellites, built by Space Systems/Loral (SS/L) and Boeing Satellite Systems, and two space launches provided by SpaceX. In November 2012, the Bank authorized a total of $471 million in loans to support the transaction. The ABS deal marked the Bank’s first financing of a SpaceX launch and of a new model of Boeing satellites, the 702SP. The 702SP is the first commercial satellite to use all-electric propulsion for orbit-raising. The two Boeing 702SPs will launch on SpaceX Falcon 9 rockets in late 2014 and in 2015. In addition, Ex-Im Bank’s financing supported the purchase of an SS/L FS1300, C/Ka/Ku-band satellite, named ABS-2. ABS-2 successfully launched on February 6, 2014, and is one of the largest geostationary satellites in Asia. From its orbital location at 75 degrees East, the satellite will extend affordable and reliable communications and broadcast services to Africa, Asia Pacific, Europe, the Middle East and Russia/CIS countries. Ex-Im Bank’s 2014 Annual Conference focuses on the global business environment and prospects for growth. A full listing of speakers, panelists, and moderators is available on Ex-Im’s website at http://www.exim.gov/. 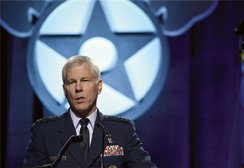 Innovation and cost-saving ideas will help ensure the Air Force keeps its warfighting readiness despite significant, ongoing budget cuts, said the commander of Air Force Space Command. General William L. Shelton spoke to members of the 38th Cyberspace Engineering Installation Group at Tinker Air Force Base in Oklahoma. Shelton praised the more than 650-member group’s cutting-edge work around the globe. He listed the major achievements for 38th CEIG in the past year, including 17 quarterly and four annual awards at the wing level. Wing members also managed and implemented 216 communications modernization projects at 85 bases, Shelton said. The 38th CEIG is described as the Air Force’s premier engineering and installation group, “The backbone of the cyberspace domain.” Airmen and civilian members engineer and install cyberspace infrastructure for communications and offensive and defensive air, space and cyberspace operations. The general said he’s never seen anything like the cuts facing the military through Congress’ sequestration law. The 2011 law led to deep, across-the-board cuts when Congress failed to reach agreement on more targeted spending cuts. “In almost a 38-year career, I’ve never seen anything that’s this serious in terms of what we’re throwing at our leadership, what we’re throwing at our people and what we’re expecting people to do with fewer resources,” Shelton said. In budget planning, Shelton described how Air Force leaders wrestle with directives imposed by Congress and the secretary of defense, all the while meeting the branch’s mission to fight and win wars ranging from insurgencies to near-peer conflicts. He told group members that the budget realities are “our time.” It’s a challenge to be embraced, he said. 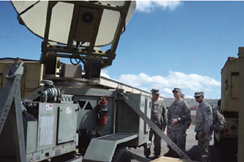 Commander of the Task Force 46, Maj. Gen. Burton Francisco and his staff inspect a Satellite Transportable Terminal system and supporting generator used to support Joint Network Nodes and Command Post Nodes Communications systems. The 46th MPC and down trace units from Kentucky, Florida and Alabama National Guards, known as Task Force 46, gathered to validate a wide array of signal assets throughout the training weekend. Francisco met with the signal soldiers from each down trace unit to witness first-hand the communications capabilities that would be used during a real-world mission. COMMEX 14 was a resounding success. General Dynamics C4 Systems has opened the MUOS Radio Testing Lab at its Scottsdale, Arizona, location. The U.S. Navy-approved laboratory is one of two that supports testing for radio-terminals intended to connect with the MUOS space-ground network. The lab is equipped with hardware and software that simulates the radio’s connectivity with the MUOS ground network. “The MUOS Radio Testing Lab in Scottsdale will help the U.S. military and government to cost-effectively and efficiently add MUOS-capable radios to their communications network,” said Chris Marzilli, president of General Dynamics C4 Systems. To test connectivity with the MUOS system, radios are provisioned with the General Dynamics-developed MUOS waveform to make secure voice calls and complete data transmissions at different data rates across the simulated MUOS network. The MUOS waveform, housed in the government waveform information repository, leverages the widely-used commercial Wideband Code Division Multiple Access (WCDMA) cell phone technology. The first terminal to receive government authorization and enter the Scottsdale lab was Rockwell Collins’ ARC-210 radio that began testing in March. 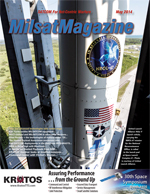 Companies interested in accessing the General Dynamics C4 Systems MUOS Radio Testing Lab must first contact and receive approval from the Navy’s Communications Satellite Program office, PMW 146, to authorize access to the test facility. 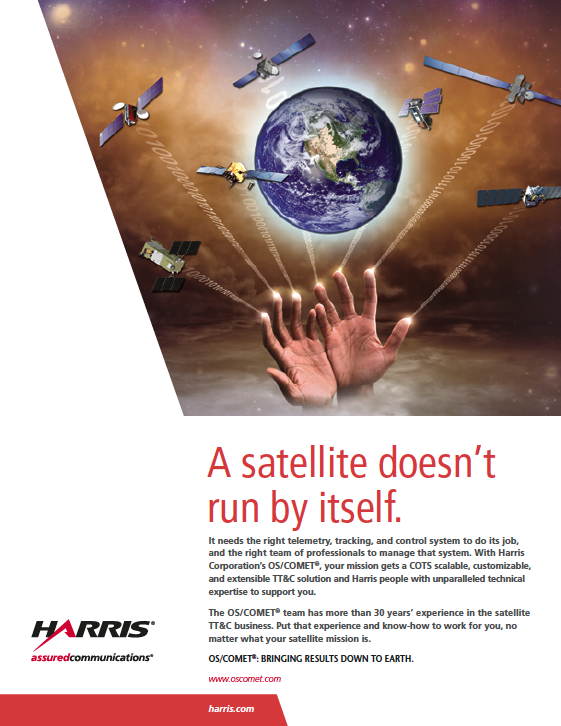 For more information about how General Dynamics connects satellites to ground-based command and control systems visit http://www.gdc4s.com/space?taxonomyCat=322. General Dynamics C4 Systems is a business unit of General Dynamics (NYSE: GD). More information is available online at http://www.gdc4s.com.